100% Australian premium pure yellow box honey. 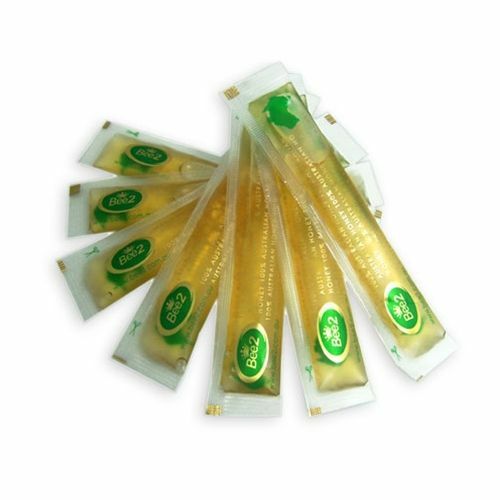 Bee2 honey offers your customers absolute convenience - great grab and go alternative. You are in control of consumption every time, individual honey portions means no mess, no fuss. Bee2 promise to bring you the purest natural honey products created by the clean green Australia environment. Yep agree great product no horrible looking honey bottles in my cafe!